Paris: The world can eradicate tuberculosis by 2045 if the fight against the killer disease is properly funded, an international team of experts has said. Warning of the immense economic and social costs of inaction, they said that better screening, treatments and public awareness were needed to reduce the more than 10 million cases recorded every year. A chronic lung disease which is preventable and largely treatable if caught in time, tuberculosis is the top infectious killer of our time, causing over 1.6 million deaths each year. “That is huge and the economic burden of that to both developing and developed nations is staggering,” Eric Goosby, the United Nations’ special envoy for the disease, told AFP Wednesday. “It’s not rocket science, it’s really common sense. We need to initiate a new prevention strategy.” Tuberculosis has existed for millennia and is latent in around a quarter of the world’s population. Despite killing nearly as many people each year as HIV/AIDS and malaria combined, there has not been a new, commercially available tuberculosis vaccine in a century. The disease currently receives only around 10 per cent of the research funding allocated for AIDS. A team of experts from 13 nations, writing in The Lancet, said that funding for research and development would need to quadruple to around USD 3 billion per year if the disease is to be properly tackled. In India alone, where one in three global tuberculosis deaths occur, providing better access to treatment and targeting at-risk communities for screening could cut deaths by nearly a third with an annually outlay of USD290 million. That compares to the USD 32 billion each year in economic losses — including treatment costs and lost productivity — attributed to tuberculosis. “The real key is that we are going to need much more new research and new tools,” said Paula Fujiwara, scientific director at The International Union Against Tuberculosis and Lung Disease. “Even if we use the tools we have today it’s not going to be enough. 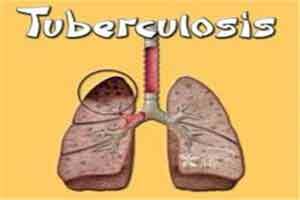 The goal is to end tuberculosis but the current decline is only 1.5-2.0 per cent a year,” she told AFP. The Lancet study says that even if currently available treatments were given to 90 per cent of tuberculosis sufferers, 800,000 people would still die given their inefficacy and the gaps in diagnosis. A series of breakthroughs in recent months have provided some hope to patients. In October, a new treatment for drug-resistant strains of tuberculosis cured 80 per cent of sufferers in Belarus. The treatment has since been repeated in other high-incidence nations, with similar results. A month earlier drugs giant GlaxoSmithKline unveiled a study showing that a new vaccine was effective in 54 per cent of trial participants. In parallel, doctors say a new testing method could help reduce the 240,000 deaths of children under five that tuberculosis causes each year. Goosby said trials needed to continue to drive a production line of new treatments against the disease. “The inevitability is that we will need new drugs as the disease evolves,” he said. “We should — as a global health response — anticipate and expect (drug) resistance and continue the work.” The Lancet study said reducing tuberculosis deaths to less than 200,000 a year would cost around USD 10 billion annually.